In 1968, the eyes of a worried nation were on Washington, D.C. After the assassination of Dr. Martin Luther King, Jr., and the ensuing widespread neighborhood destruction that followed in the district and nationwide, what would come next? Would D.C.’s political and community leaders rise to the occasion? A new exhibition organized as part of a city-wide commemoration of the 50th anniversary of King’s assassination explores the Pilot District Project (PDP), a local experiment in community policing. The PDP centered on several African American residential and business neighborhoods hardest hit by fires, looting, and other civil disturbances in the spring of 1968. This neighborhood stood in for other streets in other cities where police and the community were often at odds. The neighborhood itself became a training ground for a new type of policing. This exhibition will display for the first time a newly discovered collection of posters, maps, and other materials from this innovative community policing plan. Connections between the PDP and other D.C. community groups will illuminate the context of activism in the capital city. 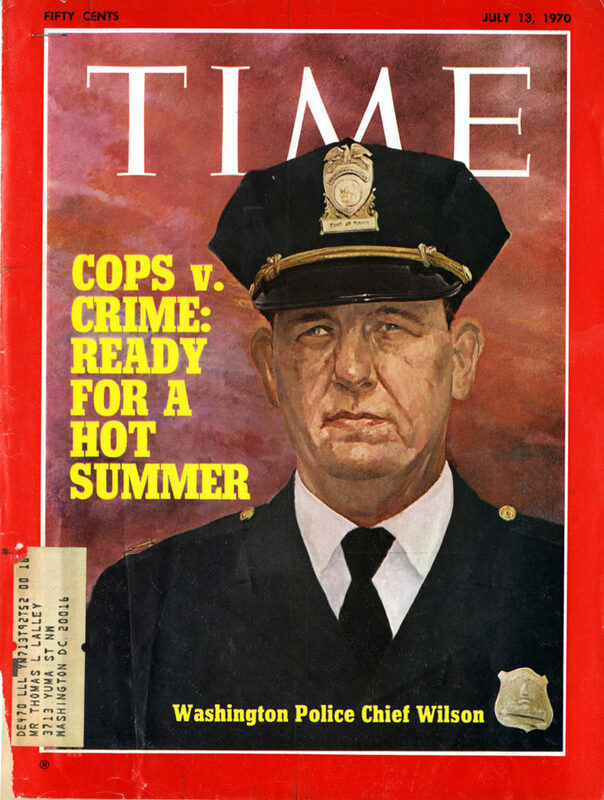 The exhibition will introduce visitors to this compelling and timely story of urban policing, community participation and resilience, federal intervention, and a program with good intentions that perhaps was never up to its herculean task. This exhibition is a collaboration between the National Building Museum and the Historical Society of Washington, D.C.